For the complete TRIDENT yacht specs in table view see below. 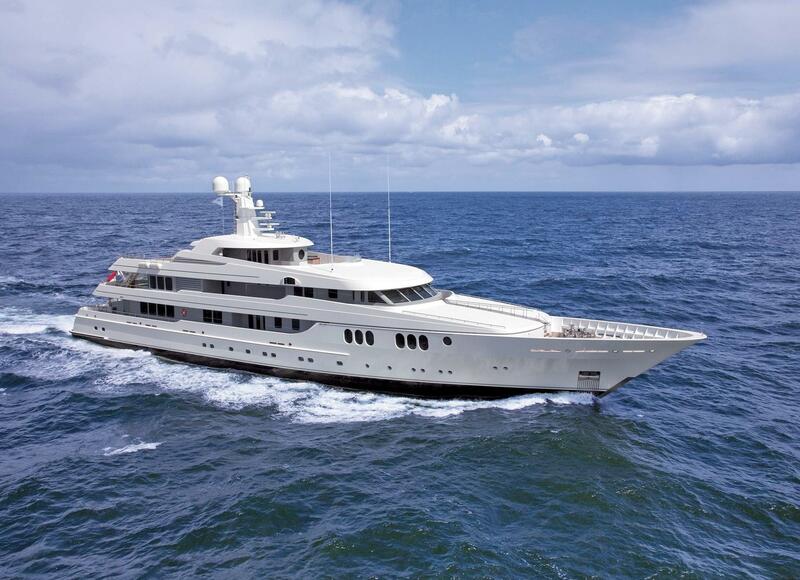 Built by luxury yacht builder FEADSHIP, the luxury motoryacht TRIDENT measures in at 214ft / 65.2m. She has a beam of 37.1ft, and a draft of 11ft, and she measures in at 1,226 gross tons. She sleeps up to 14 guests in 7 staterooms and has accommodations for 16 crew. She is propelled by MTU engines at 1,877 hp each with a maximum speed of 16 knots and a cruising speed of 15 knots. Her decks are Teak and hull is Steel. Exterior styling is by Donald Starkey Designs with her interior design by Donald Starkey Designs. 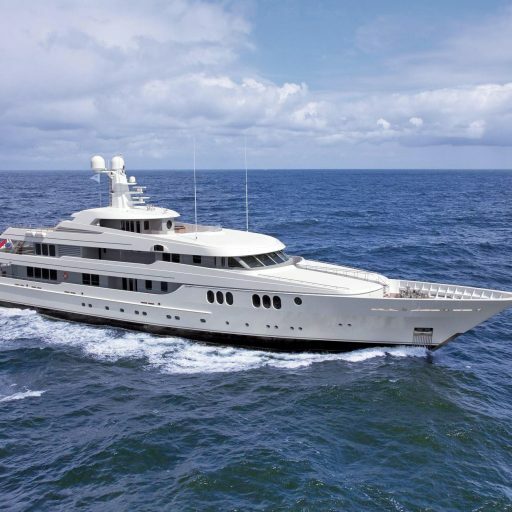 Interested In The TRIDENT Yacht? For additional information, the price, photos and location, select one of the options above. Here you will find more detailed information about the TRIDENT yacht. For more information on the TRIDENT yacht specs, scroll down. For more information on the TRIDENT yacht specs or your own custom yacht report, simply contact a yacht broker at Merle Wood & Associates. As an internationally recognized leader in the sales, marketing and chartering of the most discerning yachts world-wide, we are dedicated to enhancing the yachting lifestyle and enjoyment of all our clients. The TRIDENT yacht specs have been compiled and sorted to provide our visitors the most current and accurate data for the luxury yacht TRIDENT. If you would like to report an error or submit additional specifications about the TRIDENT yacht, please contact our luxury yacht intelligence team.